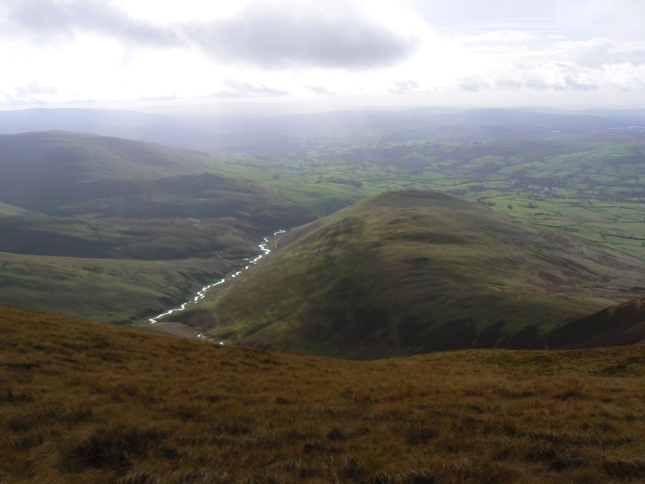 Brown Moor is a relatively small hill in the western Howgill Fells and is notable for being the only summit in the grassy Howgills Fells to feature some rocky outcrops. Saddled with what is quite possibly one of the most boring names for a hill, Brown Moor is very much in the shadows of its neighbouring fells. To the north there is Fell Head and to the east there is Bush Howe, The Calf and Calders. All four of which have over 200m in height advantage over Brown Moor. 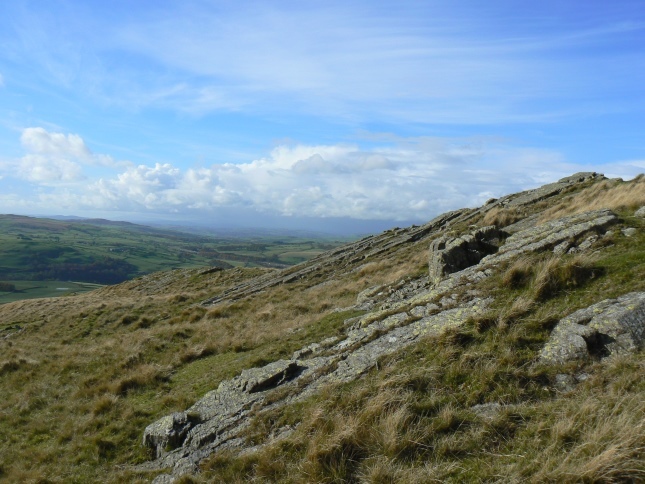 What Brown Moor has that none of those fells have is some interesting rock outcrops on the summit area. 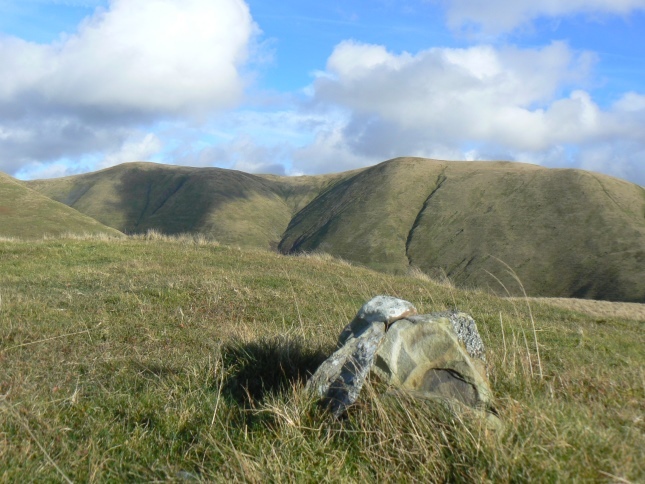 Almost all Howgill summits are grassy, indeed there is so little rock about that most hills in the area can barely conjure a handful of rocks as a summit cairn. It is quite surprising then that, given the bland name, Brown Moor actually has some interesting outcrops of the underlying Silurian rocks. With the exception of Cautley Crag and the head of Carlin Gill there are few places in the Howgills where this is visible. Brown Moor is actually part of a long ridge that descends, initially very steeply, from Fell Head. 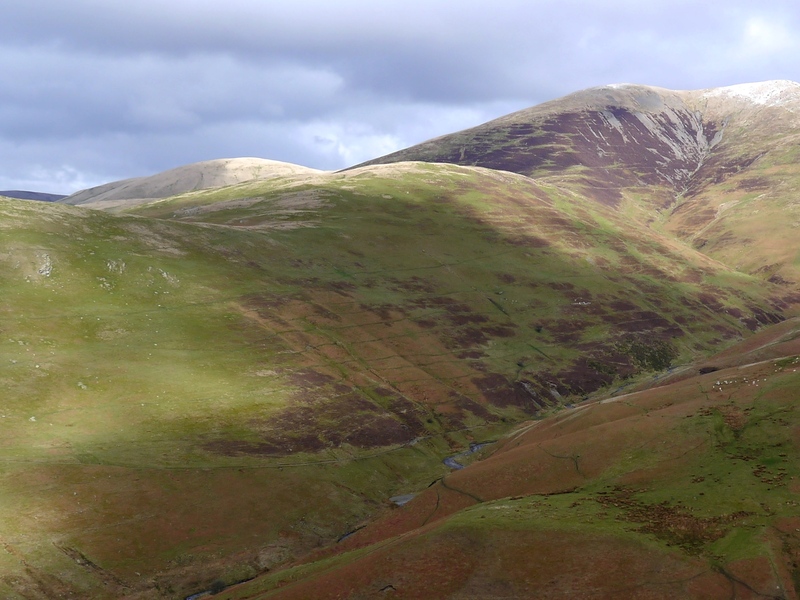 To the south of the ridge is the deep trough of Long Rigg Beck. To the north Brown Moor is separated from Whin’s End by the head of Ellergill Beck. 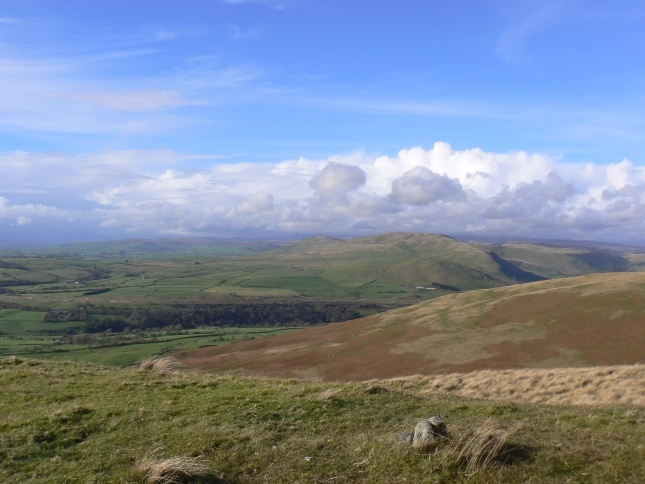 Brown Moor can be visited fairly easily via a detour from the bridleway climbing on to The Calf via White Fell, or via the footpath from Howgill that contours around Fell Head. Alternatively you can do as I did and descend Fell Head directly on to Brown Moor. Whichever route you take it is an interesting little summit. While the larger fells do block the view to the north and east it is a good place to appreciate the steep, shapely flanks of the likes of Fell Head and The Calf.